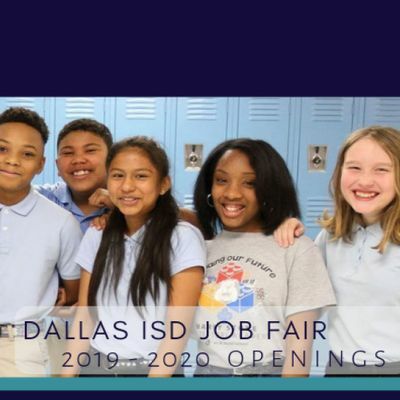 The Dallas Independent School District is hosting a districtwide Teacher Job Fair on Saturday, April 13, 2019 at Emmett J. Conrad High School from 9:00 a.m. to 12:00 p.m. 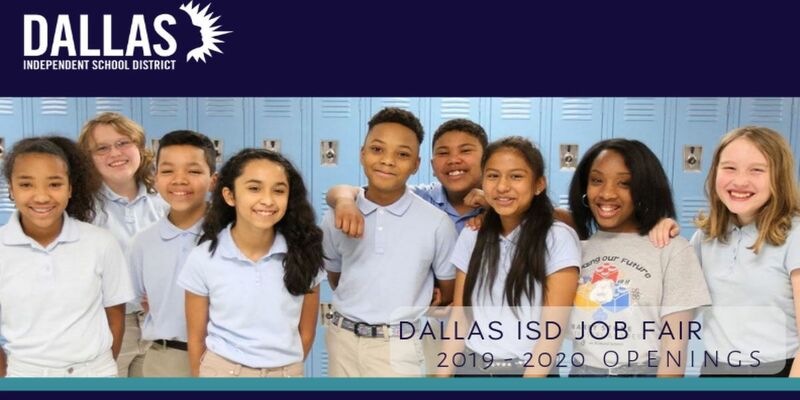 If you are interested in gaining a teaching position for the 2019-2020 school year, Dallas ISD encourages you to attend. Come and experience the opportunity to interview with our campus principals and leaders. If attending, please ensure to register prior to the event in order to receive job fair updates and information. We hope to see you there! Yes, you must register to receive a ticket to the job fair. Event tickets will be required for entry. You can print your ticket or pull it up on your smartphone. We will need to scan the QR code in order to enter. Check-in will begin promptly at 8:00 a.m. inside the cafeteria, located at the back of the building. After check-in you will be directed to the waiting area until the start of the event. Can I bring a companion to the job fair? Due to limited space, only registered candidates will be allowed entry. We regret that childcare will not be available onsite. Located at 7502 Fair Oaks Avenue. Fair Oaks Park is a large softball complex located next to Emmett J Conrad High School. There will be a shuttle running every few minutes throughout the event to take you to the check-in area. The shuttle service will begin at 8:00 a.m. and run through 1:00 p.m. to help you return to the parking lot. Located at 7000 Holly Hill Drive. There will be a shuttle running every few minutes throughout the event to take you to the check-in area. The shuttle service will begin at 8:00 a.m. and run through 1:00 p.m. to help you return to the parking lot. Located at 7001 Fair Oaks Avenue. There will be a shuttle running every few minutes throughout the event to take you to the check-in area. The shuttle service will begin at 8:00 a.m. and run through 1:00 p.m. to help you return to the parking lot. If you require special accommodations, please notify the recruitment team at ZnV0dXJldGVhY2hlciB8IGRhbGxhc2lzZCAhIG9yZw==.